Located in the Navajo Nation - This Is The "Gem of the Southwest"
The Navajo Nation is on Daylight Savings time and we are one hour "Ahead" of Arizona and California timezone. From March through November the Navajo Nation is on New Mexico, Utah, timezone or Mountain time zone, because the Navajo Nation stretches into 3 states in the four corners area. 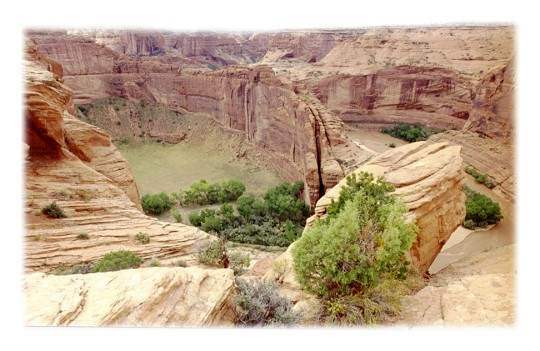 The National Park Service is telling our clients to go somewhere else to meet your guide, in order to preserve parking space at the Canyon de Chelly Visitor Center/National Park Service facility. We need our clients or you to tell them you are their for only a short time and do not plan on "parking" at the public parking lot for long. 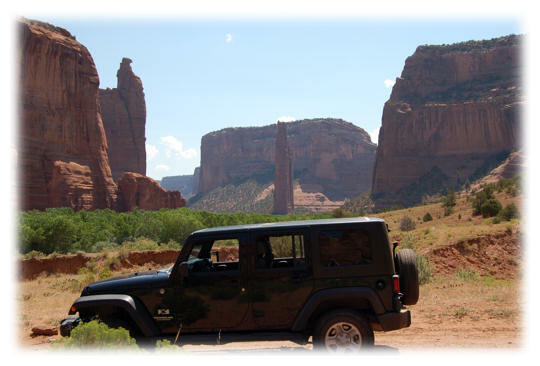 Adam Teller Tours invites you on a journey into the Gem of the Southwest. Experience Canyon de Chelly's breathtaking wonders - soaring sandstone walls, natural wildlife and beauty, precious orchards of fruit and cornfields. You may see Navajo sheepherders tending to their flocks in the flow of the southwestern sun. Enjoy the company of canyon residents, whose ancestors originally settled Canyon de Chelly hundreds of years ago.